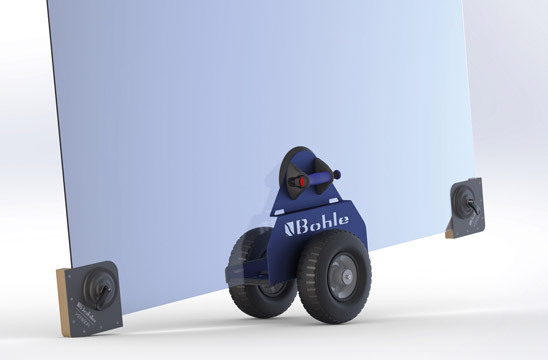 News & Highlights 2019 | New products | News | Bohle America Inc. 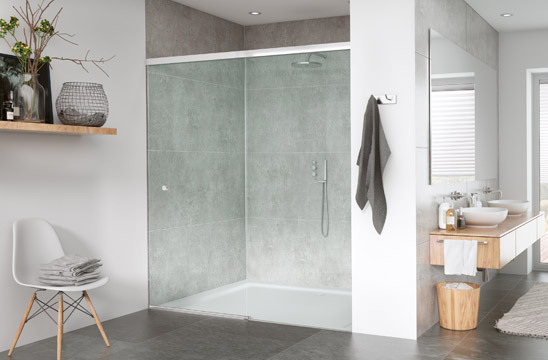 The MasterTrack system for showers is a concealed-rolling, aluminum, top hung sliding glass door system with fixed panel and slider. Zero glass fabrication is required, making the production and installation fast and simple. Thanks to the integrated dampening system, the closing system is particularly smooth. Water leakage between the panels is reduced with a tight 1/2" gap between the fixed and slider panels. Finishes include brushed stainless steel effect, bright dipped anodized and matte black anodized. 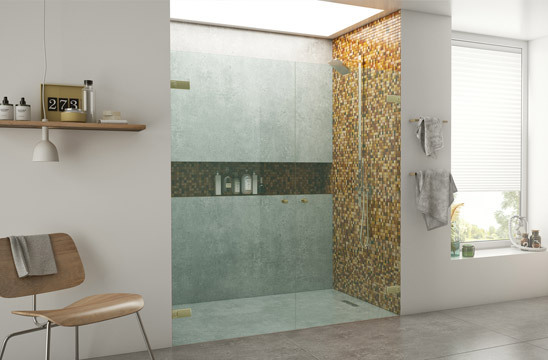 The MasterTrack system for showers is an attractive solution for a design orientated bathroom concept. 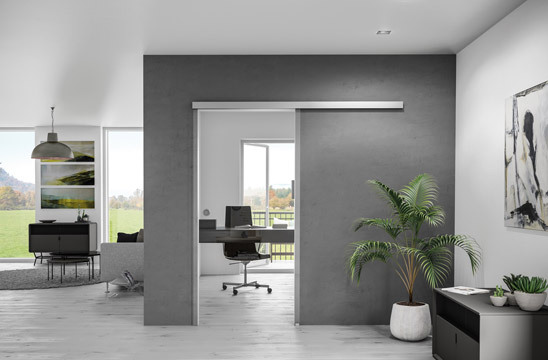 The new generation glass sliding system from Bohle is equipped with patented dampener and roller technology, delivering the smoothest sliding system available. Fully adjustable from the front of the fitting, the system is available in a slide only or fixed panel slider applications. Glass panel weights of up to 330lbs , accommodated in a 2-1/2' extrusion allow for minimal sightlines. Finishes available included clear anodized, brushed stainless effect and matte black. 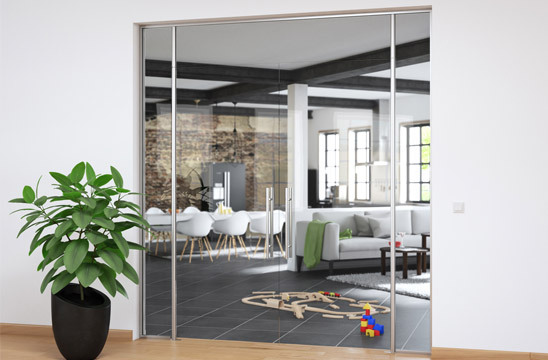 The new Alva self-closing patch system from Bohle allows for a quick turnaround for swinging all glass interior doors, without challenging overhead or floor closer installations. As the entire closer system is captured in the bottom fitting, the closer is simply fastened into the floor and adjusted to accommodate the site conditions. The Alva patch fitting is available in two versions: with and without holding position, with a 220lbs weight capacity. The maximum opening angle is 170°, with hold opens at 90° and 105°. The closing speed can be adjusted (170° - 10° / 10° - 0°). Highest safety meets an elegant appearance. 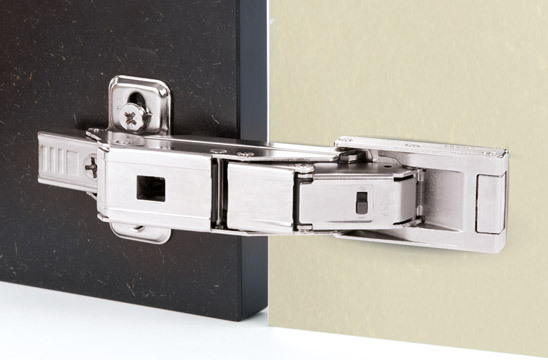 Thanks to the narrow gap of only 3/16" between wall and hinge, the UniTwist glass door hinge is perfect for a pinch protection. FrameTec represents Bohle's cross-over offering into the Division 10 interior program. Low sightlines, uniformed dry-glazed framed systems delivering a true demountable system with simple installation. 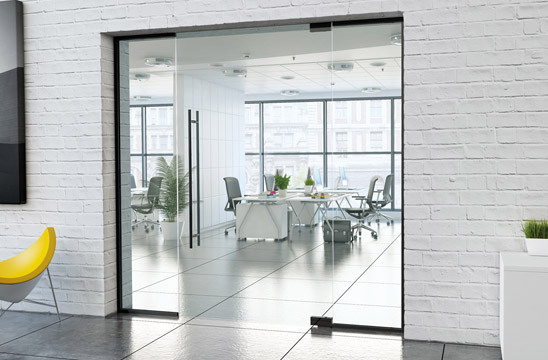 Swinging and locking door systems with sound abatement brings solutions that are practical and desirable. 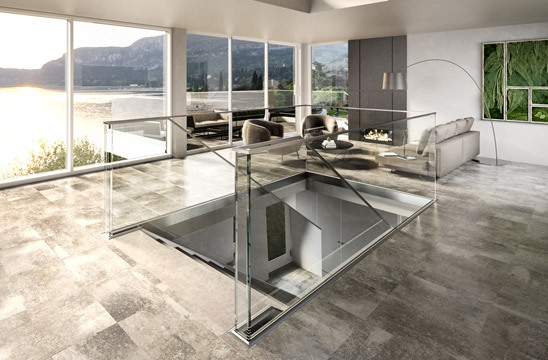 The locking ladder pull from Bohle allows a functionally appropriate way of locking either a sliding or swinging door without having to reach down to the floor. Universal cylinder systems accommodate both small format and large format interchangeable cores. Stocked in a length of 45-1/4", with other lengths available on request. ADA thumb turn available as an option. The VetroMount system from Bohle is the latest development in handrail systems. Patented adjustment of the glass in the base shoe allow for quick and safe installations on various site-conditions. The pane is clamped into the profile with the aid of two cotters. The inclination of the glass can now be adjusted without tools. Subsequently, the glass is fixed with two inserts which are guided along a pull strap. For top mounting, fasteners are only required every 15-3/4". All corresponding adjustments can be done easily from the inside (opposite the fall side). Sophisticated bathroom and interior design is characterized by individuality and high quality details. 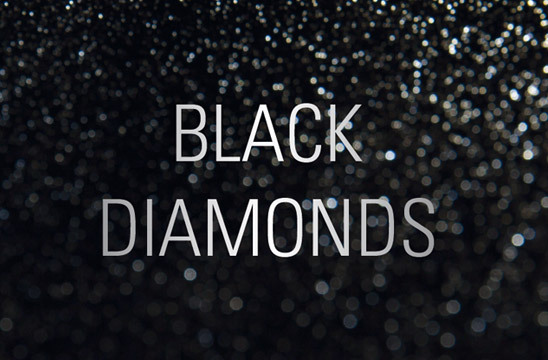 One of those details is its black color; it intentionally puts an emphasis on clear lines and highlights contrast. Modern, sophisticated and in demand. 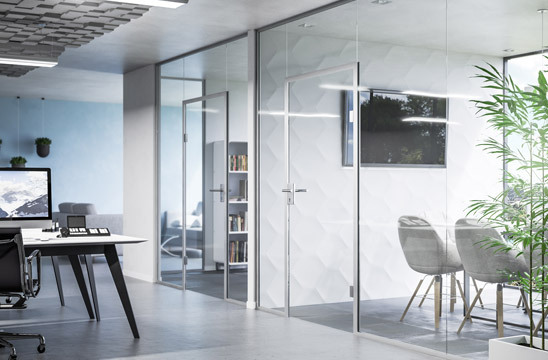 Due to its technical subtleties and its compact and unobtrusive shaping, Cristallo 110° offers versatile application possibilities when bonding glass doors and glass cases. Three-dimensionally adjustable, the hinge has an opening angle of 110° and is equipped with a damper with spring closing mechanism. Cristallo 110° is also available completely without a dampening device. Apart from that, the damping mechanism can also be deactivated. The distance door to body amounts to 3/4". The glass-wood version uses a standard cross mounting plate, whereas the glass-glass version is equipped with a cabinet bonding plate with snap-on function. 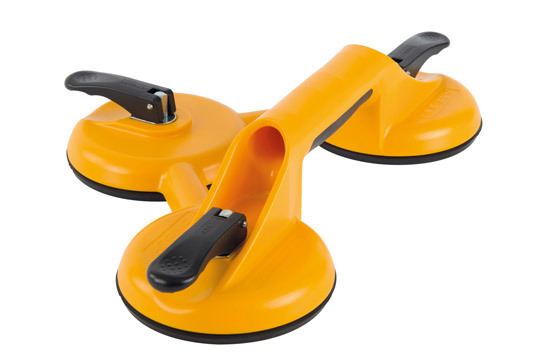 Our lever-activated suction lifter success model made of sturdy plastic is now available for the first time with three suction cups and thus an even higher carrying capacity. This suction lifter combines the advantages of different models: high carrying capacity, a resilient and at the same time lightweight material and outstanding ergonomics. The black coating of the handle enables a safe, non-slip gripping area and therefore convenient working under all circumstances. This device is suitable for use on all materials with flat, gastight surfaces. 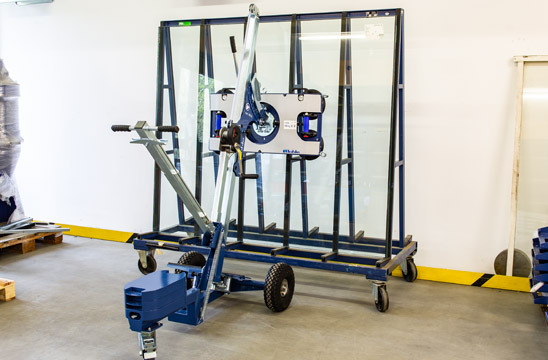 The portable and maneuverable glass dolly for interior and exterior applications greatly facilitates material handling of smooth surface material. Glass, stone, plastic, boards, sheet metal are able to be moved safely and effectively. The Veribor Glass Dolly comes with two tension belts for increased transport safety which are even suitable for transporting gas permeable materials. 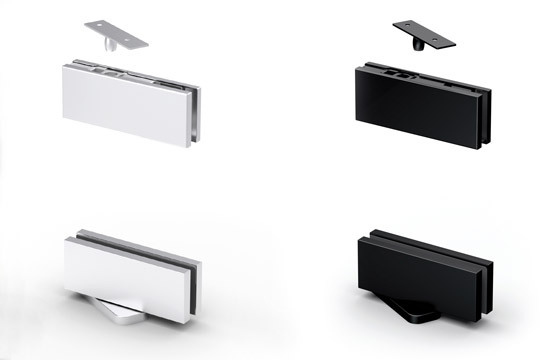 In addition, a notch in the plate enables transporting windows and thicker concealed units. 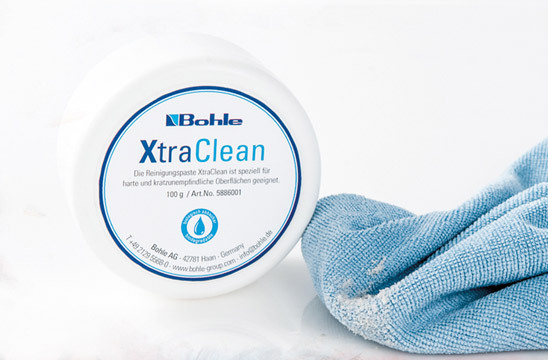 The XtraClean cleaning paste from Bohle is based on a completely new cleaning formula: Using the finest micro particles, essential oils and surfactants, it achieves an especially thorough yet gentle cleaning effect. It protects the surface even in case of hard dirt deposits, such as paint residues or rust. XtraClean is capable of removing deposits, building dirt or rust from glass, stainless steel, ceramic, tile joints and other hard surfaces. It even masters concrete splatters and oil deposits effectively or cleans dirty machines which look like new again in no time. 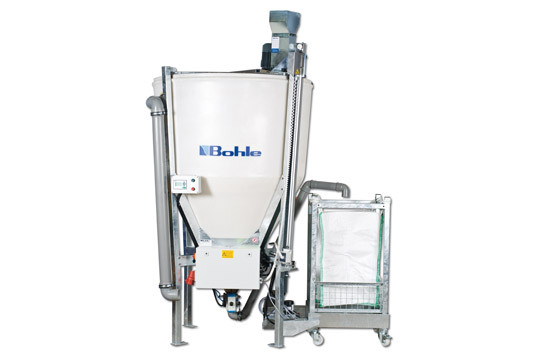 The Sedimentor 2.4P Coolant Cleaning System from Bohle is an intelligent improvement for every glass fabricator's grinding and polishing process. It is a completely closed coolant recirculation system that receives dirty grinding water from the grinding machine and through a 2 step process, returns virtually clean water back to the grinding machine's spindles. As a result, the grinding machine can expect to experience improved feed-rates, longer diamond tooling life as well as showing improved glass edge quality. 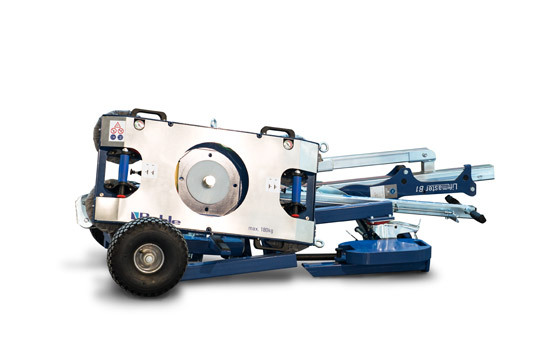 The Bohle Liftmaster B1 enables handling heavy loads of up to 400lbs comfortably and ergonomically by only one person. The integrated vacuum lifter is the centerpiece of this universal lifting device which operates in a self-contained way by means of a hand pump. It is equipped with a dual circuit system with four suction pads and an additional visual vacuum indicator. In this way, a loss of vacuum does not go unnoticed. The Bohle Liftmaster B1 can be transported in a standard car or SUV.